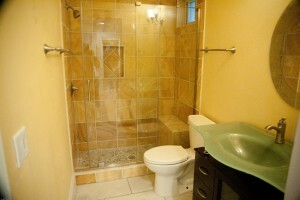 Having a nice bathroom can sometimes make or break the sale of a home. Besides the kitchen, it’s one of the top must-haves for home-buyers; especially when there is more than one per floor. So we thought we’d give you some insights on what’s desirable in this special room so that you can make informed design decisions during your next bathroom remodel. We’ve searched around the web to find out what’s trending in 2017 in bathroom remodels and have narrowed the choices down to 7 popular design trends when it comes to bathrooms. According to an article in NewsPressNow.com, Barn Doors seem to be an up and coming trend. Barn doors are popular in both kitchen remodels and bathroom remodels. Neutral to White Colors. As far as colors are concerned, a few articles claimed that neutral colors were popular, while another mentioned straight-up white as the new black this year. After all, it is easier to match your decor to a simple white or neutral backdrop. Ease of use bathroom Amenities are in. Special comfort-height toilets, vanities and side-mount faucets. Easy access or “curbless” showers are popular. That’s a shower that has no “step up and in”. It is easier to get in and out of when you don’t have to do calisthenics before and after you shower. 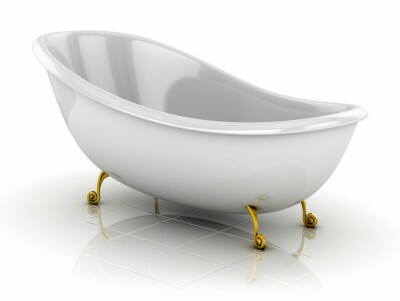 Although I could say it may be my only form of exercise these days, but I prefer the simple freestanding bathtub, which is quickly gaining speed in popularity as well. But showers (especially showers with multiple shower heads) are now more popular than baths according to the NKBA. Smart Storage Space. What would we do without room to store all of our tchotchkes , smell-goods, and colorful towels and washcloths? We’re looking at open shelving, built-in cabinetry, and practical storage options for the bathroom. This top pick says it’s what people are adding to their bathroom remodel design. Mediterranean-Inspired Design. Everything from mosaic tile or arabesque to accessories in hues of brass and gold are making their way into the bathroom remodel scene. Ageless Amenities. Along with the “curbless” showers, many ADA compliant bathroom remodels include floating vanities, grab bars near showers and tubs, and toilets as well as single lever faucet handles are popular as baby boomers grow older. These types of amenities can also increase the value of your home. Media and Music. Who knew? We’ve got our favorite shows streaming on the TV in our Smart Storage bathroom cabinets or embedded in the shower. We’ve got complete computer access, melodies playing our favorite song right in the bathroom! As if you don’t have enough trouble getting your teenager to come out of the bathroom! Now they will never come out! When you are ready for your next bathroom remodel, and you live in the Seattle, Tacoma, and surrounding areas, call LenCan Builders. From trendy to traditional, we’ve been handling bathroom remodeling for over 30 years. We can help bring your dream bathroom to life.